Flanked by the powerhouses of Brazil and Argentina, Uruguay has always shared their passion for football, but has not garnered as much recognition as perhaps it deserves. The first World Cup was won by Uruguay, in 1930, but in the ensuing 85 years, its South American neighbours have established themselves as giants of the sport, leaving the Uruguayan nation in its wake. While it is true that La Celeste have recently enjoyed something of a renaissance with their Copa América success in 2011 and fourth-placed finish at 2010 World Cup, club football in this enchanting country remains curiously under-reported by the global footballing media. When the Superclásico between River Plate and Boca Juniors in Buenos Aires comes around, rest assured there will be a multitude of articles previewing world football’s ultimate derby, but what about Montevideo’s own superstar footballing fixture? In the vibrant, eclectic streets of Montevideo, the capital and cultural centre of Uruguay, surrounded by enchanting neoclassical buildings and a bustling industrial port which forms an integral part of Mercosur – South America’s leading trading bloc – the Superclásico rivalry was born. Montevideo is an unusual setting for a legendary footballing rivalry, but the location adds so much character and energy to this game. At a glance, Montevideo wouldn’t strike you as a modern-looking city. A somewhat rundown metropolis, it was described by Harry Thompson in Penguins Stopped Play as “Buenos Aires’ Midwestern cousin”. Its beaches showcase bikini-clad women and youngsters kicking a football around in the sand, closely resembling the Copacabana in Brazil. And, like Brazil, the quality of football grows from humble beginnings alongside the picturesque waters of the South Atlantic Ocean, to crammed stadiums in the heart of the country. The Superclásico of Uruguay may not receive the coverage of some of football’s other illustrious rivalries, but it is undoubtedly deserving of its place in the pantheon of the biggest derbies. Contested between Club Nacional de Football and Club Atlético Peñarol, it is the oldest footballing rivalry outside the British Isles and has captured some of the most unforgettable and entertaining games in Uruguayan football history. Peñarol were founded in 1891 by British railroad workers in Montevideo, going by the name of Central Uruguay Railway Cricket Club until it became wholly Uruguayan in 1913. They decided on club colours of yellow and black, which were the cautionary signals for the railway workers at the time. Nacional were founded in 1899, becoming the first-ever South American club to be set up by people from the continent as opposed to ex-patriots. Peñarol embraced their image as the gringos, while the Nacional were viewed as more of an elite institution. It was the emergence of these two clubs in Uruguay that encouraged a love of football throughout the nation, with clubs such as Wanderers, Universal and Central forming soon after, but the Montevideo rivalry formed the backdrop for the spreading of the game throughout the small republic of Uruguay. Between 1860 and 1920, Uruguay saw a mass influx of immigrants from Europe – mostly from Italy and Spain. The mixed-race population was key to the composition of a muddled nation, with a mix of European immigrants, Africans and Hispanics. The national football team at the 1924 Olympics illustrated the depth of Italian influence: Petrone, Scarone, Romano and Nasazzi all starred. It showed that, in the early stages of Uruguayan football, the sport acted as a unifier, a great instrument of integration whereby footballers could climb the social ladder and express themselves. This was evident in the Nacional-Peñarol rivalry, which began to flourish with the breadth of talent flowing into their squads. To say the Clásico del fútbol Uruguayo is the most important and enduring rivalry in Uruguay would be a vast understatement – between them Nacional and Peñarol have claimed 91 out of 108 Primera División titles, while they have also tasted glory in eight Copa Libertadores championships. In over 450 games spanning over a hundred years, the two clubs have established a rivalry every bit as fierce and intense as Boca-River in Buenos Aires and Fla-Flu in São Paulo. 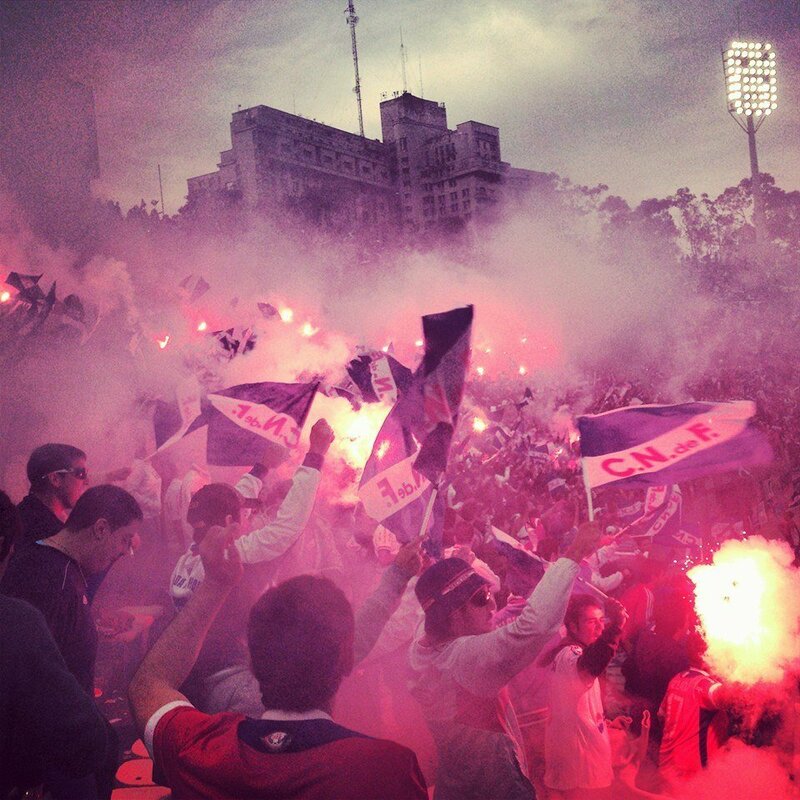 This is the remarkable story of Montevideo’s Superclásico. After an episode of unprecedented violence and chaos, the Montevideo supporters were both perplexed and exasperated. What they had witnessed may well have never happened in a professional football game ever before. But here it was, unfolding before their very eyes and piling pain onto their battered souls. The date is 25 May 1934, and Uruguay, as a footballing nation, stands very much at the forefront of the game. The inaugural world champions boasted a wealth of talent, including the likes of Héctor Scarone, Pedro Petrone and Lorenzo Fernández. As a result, the club footballing scene is thriving, and the 1934 league title has been fought tooth and nail by Nacional and Peñarol. After finishing the season tied at the top of the table, the two rivals met at the Estadio Centenario in a title deciding, playoff showdown. The first 69 minutes of the game were relatively incident-free, but then, something utterly unforeseeable happened. With the game scoreless, a Peñarol cross was over-hit by Bahia, their pacy winger, and heading out of play, only for it rebound back off a medical bag being carried by Juan Kirschberg, the Nacional physio. The referee, Telésforo Rodríguez, failed to stop play, presumably missing what had happened. Embracing the extraordinary opportunity, Peñarol regained possession through Braulio Castro, who answered cries from the touchline to put the ball in the net and scored from the resulting move, ensuing mass protests from the Nacional players. Surely, they argued, a goal of this nature could not stand. Sometimes, when a decision is contested, there are waving of arms and voices raised. In the cauldron of this high-pressure game, there were punches thrown and cries of terror from the referee. Although Rodríguez required urgent medical assistance, he still managed to send the assailants off. Eventually, in the midst of escalating tension, the goal was disallowed. 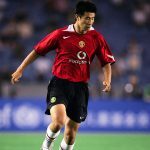 However, due to the mayhem that broke out in the aftermath of the goal, time had been eaten up and fading light meant that finishing the game was impossible. Nacional’s team had been decimated by their own recklessness, with Nagazzi and Chifflet being detained by police overnight. Nagazzi ended up receiving a one-year ban, with Labraga, another aggressor, being slapped with 15 months. The Nacional players had woke up that morning envisioning lifting a trophy, but they ended the night in a dark cell, reflecting on one their most shameful and regrettable involvements in a football game. The remaining players of El Bolsos bravely hung on despite a deficiency of numbers and triumphed in the next game 3-2, claiming league title glory. 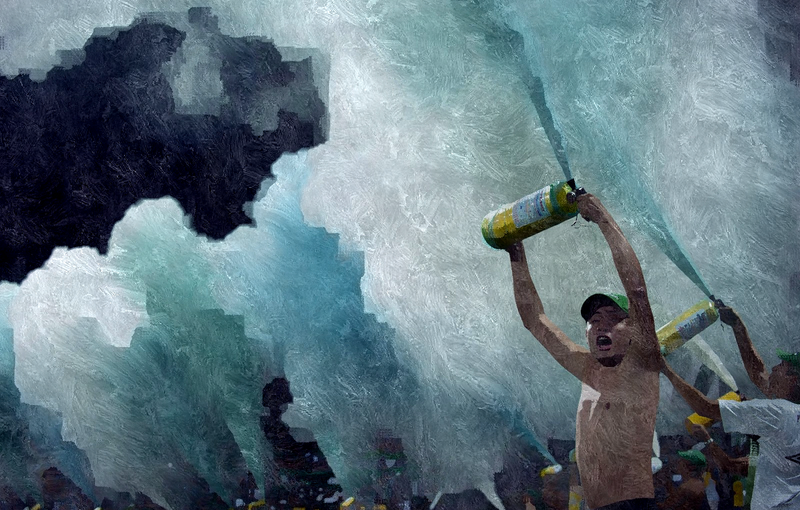 Montevideo had witnessed a stunning and, frankly horrifying, expression of passion in the Superclásico, and one that served only to deepen the hatred between the two sides. When blood is spilt and violence rages, a football rivalry becomes more than just another game. That infamous match – perhaps the most notable in the rivalry’s history – took place at a time when Uruguayan football was overachieving. For a fairly diminutive country, the fact that they triumphed in the first World Cup was an outstanding accomplishment and one that owed much to the depth of talent emanating from Nacional and Penarol. Since 1910, the nation’s foremost footballing institutions had formed an unshakable hegemony atop the club scene. Following Nacional’s infamous triumph in 1933, the duopoly continued, with Nacional managing an unprecedented Quinquenio de Oro (five league championships in a row). In 1941, Tricolores were invincible, winning every single one of the twenty matches they played. Much of this was down to Atilio García, Nacional’s legendarily prolific striker who fired his way to hero status with 208 goals in 210 appearances from 1938-51. Nobody could stand in the way of Nacional’s sweeping brilliance, their speed and power up front proving a particular point of superiority. Nacional were consistent throughout the 1940s, claiming six championships in seven years between 1941 and ’47, however they couldn’t stop the rise of La Maquina (The Machine) from Peñarol. La Maquina became known as a legendary group of players, a squad who managed to defeat Liverpool 5-0 and swept aside a formidable River Plate outfit 3-0. Peñarol brushed teams aside with apparent effortlessness and no shortage of ruthlessness, but they faced a considerable challenge in the Clásico in October 1949, when they met Nacional inside the Centenario. The first 45 minutes went as many had predicted: complete dominance from Peñarol. Camped inside the Nacional half, they peppered the goal with shots and scored the opener, after Juan Schiaffino’s ball found the late Alcides Ghiggia – who would later become a national hero for scoring the goal that broke Brazilian hearts in the 1950 World Cup – putting La Manquina 1-0 up. Then, Ernesto Vidal latched onto Óscar Míguez’s saved spot-kick and doubled the advantage. The Nacional players protested that Vidal had illegally encroached the area during Míguez’s run-up, but the goal stood. Eusebio Tejera was sent off for dissent and Walter Gómez, summoning the violent ghosts of the ‘medical bag goal’ punched and kicked the referee. He was subsequently sent off and escorted out of the stadium by police, as his team-mates were forced to contend with a rampant Peñarol outfit that didn’t look ready to show mercy to their bruised rivals. The first half ended with Peñarol two goals to the good and Nacional down to nine men. The rain had been pouring heavily all day but, as La Manquina emerged for the second period, the sun began to shine, as recalled by Martin da Cruz Many believed that it was to be a sun-soaked massacre, with Nacional failing to contain Schiaffino and co. However, the Nacional players never reappeared. Peñarol waited on the pitch for twenty minutes. Whispers came from the stands that Nacional had refused to play any further part in the game. The referee subsequently awarded the game to Peñarol as they performed a victory lap in front of the crowd. The game went down in Superclásico folklore as Clásico de la Fuga (escape), as recalled by Martin da Cruz on From Beauty to Duty, and remains a source of pride for Peñarol, while Nacional still reflect on the ridicule and embarrassment endured that day. They have been called gallinas (chickens) ever since and the match stands as a stain on an otherwise fruitful period for the club. Utter humiliation at the hands of their closest rivals; is there anything more painful and frustrating in football? It goes far in portraying the might of that Peñarol side, who reduced their opponents to quivering wrecks as they combined to play the most effective brand of football. It had been the sweetest revenge for eight years previously, when Nacional inflicted the darkest day on Peñarol; their first and second sides inflicted 6-0 and 4-0 victories on their rivals’ two sets of players on what became known as el día de diez (the day of 10). To his day, the 1940s can be viewed as a pivotal period in the history of the Superclásico in Montevideo, a period which hardened the rivalry between the two teams and forms the basis of many insults between the two sets of supporters. 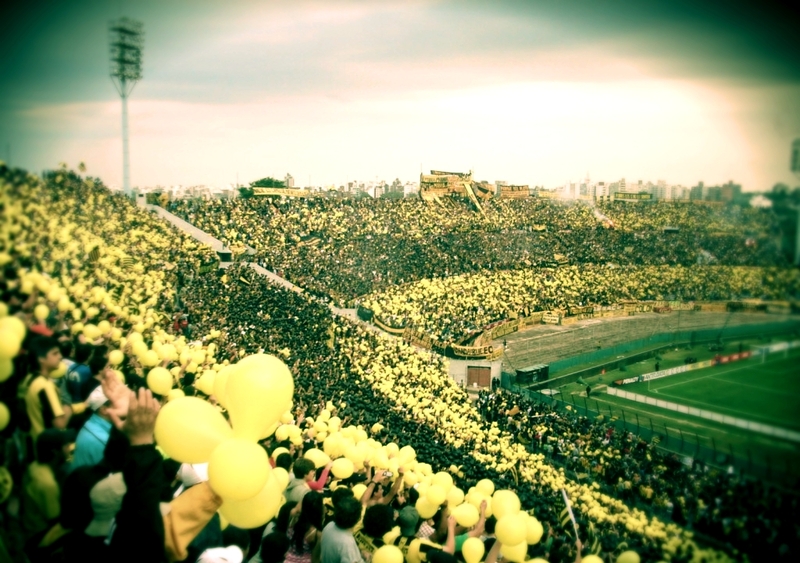 Galeano offers the concept of the fanatic, one that personifies the Nacional and Peñarol fans. To them, it is not just about their team winning, but about the other team losing. When Nacional are facing off with any other team, rest assured Peñarol will be watching intently, praying for their rivals to fall. In the modern day, the rivalry remains remarkably strong. In fact, just last month, yet another title-deciding battle was stopped prematurely due to violence. With Nacional leading 3-2 inside the Centenario, Peñarol fans invaded the pitch from the Amsterdam stand after Álvaro Recoba missed a penalty for Tricolores. The usual circus unfolded before lamenting eyes, with fans ripping up seats and hurling them at riot police as the game ended in a mire of hatred. The game was called off seven minutes before the end with a Uruguayan FA tribunal standing in the way of a Nacional triumph. The tribunal decided the next day that the championship was to be Nacional’s, but it was marred by the viciousness of their rivals. In a way, Peñarol took immense satisfaction in denying Nacional a ‘true’ victory, and will not need a second invitation to remind them that the match was never finished. For them, that is almost like a victory in itself, for they have the opportunity to taunt and mock their rivals. Nacional and Peñarol remain at the forefront of Uruguayan football and their rivalry is one that should be embraced by football fans the world over. It is worth remembering that players such as Luis Suárez, Diego Forlán, Diego Godín and Recoba have come from these teams and, with that in mind, it is worthwhile to appreciate the stature of the Clásico rivalry in Montevideo. Glorious footballing rivalries exist in South America beyond Brazil and Argentina, and the Superclásico in Montevideo is a prime example.